It’s not always easy to pick your next computer. With so many attractive devices out there, it would be great to have enough money to buy a different computer for every occasion. Fortunately, there’s even a better way how to satisfy your computing needs: a 2-in-1 convertible laptop. In this article, we pit against each other the Dell XPS 13 and the latest Surface Pro from Microsoft to see which of them is the king of versatility. By far the biggest difference between the Dell XPS 13 and the latest Surface Pro from Microsoft in terms of their design and build is the fact that the Surface Pro has a detachable keyboard. Yes, you can flip the display of the XPS 13 all the way around to hide the keyboard behind it and effectively transform the laptop into a tablet, but there’s no way how to leave the extra way behind. Microsoft’s Type Cover may look like a poor substitute for a proper keyboard, but the opposite is actually true. The Alcantara-covered keyboard is a joy to type on and gives the laptop a luxurious appearance. The keyboard on the XPS 13 is exactly what you’d expect from Dell: responsive, precise, and well thought out. 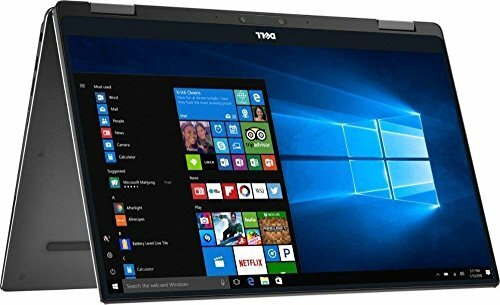 The XPS 13 has a stunning 13.3-inch FHD or QHD IGZO IPS display with a wide viewing angle of up to 170°, 400-nit brightness, anti-reflective coating, and support for touch input. 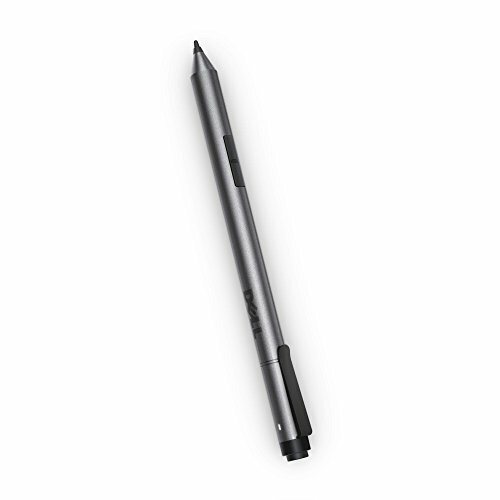 You can interact with the display using the Dell Active Pen, which is a precise writing instrument designed to work flawlessly with Windows 10 programs to make daily tasks easier on your Dell XPS 2-in-1 laptop. The Surface Pro has an equally gorgeous 12.3 PixelSense display with a resolution of 2736 x 1824 pixels, which corresponds to 267 pixels per inch, in a 3:2 aspect ratio. The more squarish aspect ratio of the Surface Pro makes the laptop suitable for all kinds of content creations—from drawing to spreadsheet editing. 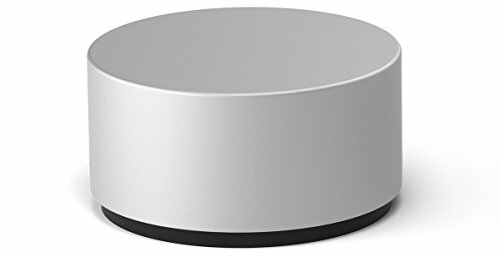 Apart from your fingers or the touchpad built into the Type Cover, you can also interact with the Surface Pro using the Surface Dial. While you can expect great things from both laptops, only the XPS 13 is available with the Intel Core i7-8500Y, which belongs to the latest generation of processors from Intel. The Surface Pro still rocks the tried but tired Intel Core i7-7660U, a shame considering how much it costs. The good news is that the laptop makes up for it with a top-of-the-line SSD and memory, so the XPS 13 and the Surface Pro have virtually identical performance in real-life conditions. What’s not identical is how much each laptop lasts on a charge. To keep the XPS 13 compact and portable, Dell has opted for a relatively small battery with a capacity of 46 watt-hours. You can expect to get around 10 hours of regular use out of the laptop before it hibernates itself. 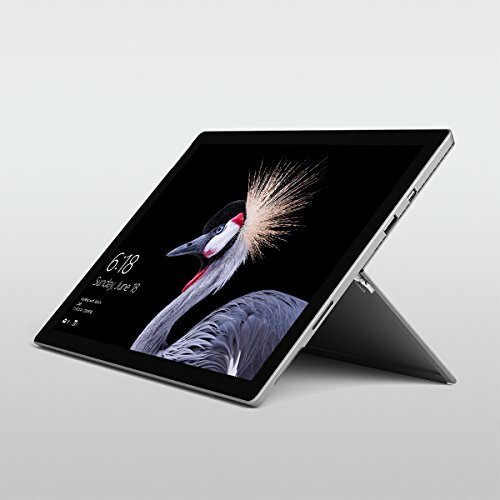 The latest Surface Pro, on the other hand, comfortably manages around 13.5 hours on a charge, which is a pleasant increase over the previous generation of this convertible. When you compare models with equal specifications, the Dell XPS 13 and the latest Surface Pro from Microsoft cost about the same. Yes, the Surface Pro is around $150 more expensive, but it also includes LTE connectivity, which makes the price difference truly negligible considering how much both laptops cost. The Dell XPS 13 and the latest Surface Pro from Microsoft are absolutely neck and neck, with each laptop having its own advantages and disadvantages—mostly of a fairly unimportant nature. We recommend you decide which of the two laptops to buy based on your preferred input method. If you prefer the keyboard and mouse, go for the Dell XPS 13. However, if you favor touch, the Surface Pro is a better choice.